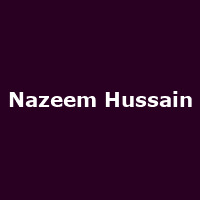 "Award-winning Australian comedian, Nazeem Hussain, is hotly tipped for future global stardom. He's received critical acclaim and popularity in the UK as one half of the sell-out hit show "Fear of a Brown Planet" with Aamer Rahman, whilst becoming a regular feature on Australian TV on his own TV show 'Legally Brown' and 'Balls of Steel Australia'. Hussain's an exciting comic not to be missed."